We are a leading Manufacturer of plastic waste shredder for warehouse, plastic bottle recycling machine, industrial plastic shredders, plastic scrap grinder, plastic scrap grinder machine and plastic grinder machine from Mumbai, India. Throat Size 25" x 25"
We offer a comprehensive range of Plastic Waste Shredder for Warehouse. 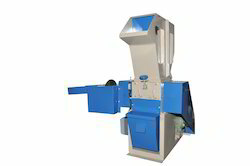 Offered shredders are suitable for shredding various types of plastic products providing quick and efficient performance. Can Shred/Grind: Pet Bottles, Plastic Containers, PP Caps, etc. Throat Size 20" x 20"
Our company is a well-established manufacturer and supplier of high-quality products such as the Plastic Bottle Recycling Machine which have a robust make and they have been made using the best technology available in the market. These products have been reasonably priced in the market and they are used for disposing of the plastic bottles and they have been made using a high quality of raw materials procured from well-known vendors. We are providing our customer Industrial Plastic Shredders. These machines are known for good performance of high operational efficiency. It is mainly used to reduce the volume of plastics and mainly to reuse it. It can shred plastic waste such as pet bottles, plastic jars, blister packs of medicines, LDPE containers etc. Shred size can be defined as per mesh size from 1 mm to 30 mm or above as per requirement. 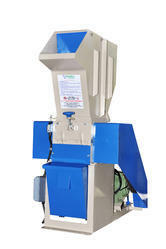 We are the leading manufacturers and suppliers Plastic Scrap Grinder. We are the leading manufacturers and supplier of Plastic Scrap Grinder Machine. We are engaged in offering a wide variety of Plastic Grinder Machine which is used for qualitative measurement of the component in various industries. We are offering these in varying capacities, which are dependent upon the type of material, scrap sizes, and sizes. We put in ardent efforts to maintain the consistent quality of our products. this high-tech Spelling Machine is renowned for its latest features and efficiency. We deal in the high quality of the Waste Plastic Recycling Shredders which have been produced using the best technology available to us and they have a very sturdy make. These products are used for recycling plastic so that they can be effectively disposed and they offer an efficient performance to the customers. They have been priced at very reasonable rates in the market. Our company has managed to carve a niche in the market for the manufacture and supply of a high quality of products such as the Plastic Recycling Shredders which have been made using the best technology available in the market and they have been priced at very competitive rates in the market and they provide a high performance to the customers. They shred down the plastic and then process it for recycling and are high on demand in the market. We are leading manufacturer and supplier of Plastic Scrap Grinder Machine. 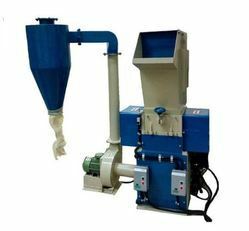 Plastic Scrap Grinder Machine Suitable to grind all types of plastic waste like Pet Bottles, Plastic Bags, Jars, HDPE Bottles, Plastic drums, etc. can reduce size up to 80% of the volume.